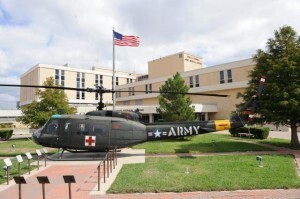 Second Shooting Spree at Fort Hood Raises Question: Should Military Leaders Carry Guns at Bases? After two deadly shooting rampages at Ford Hood in Texas, some congressional members said military leaders should be permitted to carry firearms on the base, the New York Post reports. But both the White House and Pentagon are opposed to changing bans on service members carrying personal firearms on bases. Posted: 4/7/14 at 9:12 AM under News Story.